8 The Hahnemannian Monthly vol. 11 August 1875 – July 1876, by Robert J. McClatchey. 598p. Phildelphia. Boericke & Tafel. Original Binding spine repaired. 14 The Hahnemannian Monthly Vol. Eights. New Series. (Vol. Twenty First) January – December 1886, by E A Farrington, Pemberton Dudley. 832p. Orig. spine rep.
19 The American Observer Medical Monthly devoted to Homoeopathic Material Medica. New Series vol. II from Beginning Vol. XII. 1875. 632p. Original. Spine rep.
20 The American Observer Medical Monthly devoted to Homoeopathic Material Medica. New Series vol. III from Beginning Vol. XIII. 1876. 640p. Original. Spine rep.
27 The Homoeopathic Physician A Monthly Journal of Medical Science. Vol. 6 January – December 1886. 452. index pages missing and 5 pages of text repaired. Unbound cannot bound pages are crisp. 34 The Homoeopathic Physician A Monthly Journal of Medical Science. Vol. 13 January – December 1893, by Walter M. James. 600p. Original binding spine repaired. 50 The British Journal of Homoeopathy. Ed. By Drysdale, Russell & Dudgeon. Vol.7, 1849. 576p. Rebound. 51 The British Journal of Homoeopathy. Ed. By Drysdale & Dudgeon. Vol.16, 1858. 699p. Original spine Repaired. 53 The British Journal of Homoeopathy. Ed by J.J. Drysdale, Dudgeon & Hughes. Vol. 24, 1866. 700p.unbound can not be bound. 54 The British Journal of Homoeopathy. Ed by Drysdale, Dudgeon and Richard Hughes. Vol. 27, 1869. 700p. & vol. 28, 1870. 828p. Bound in one vol. rebound. 57 Journal of Homoeopathics. Ed. By J.T. Kent. Vol. 1, 1898. Lancaster. 407p. Original spine rep.
58 Journal of Homoeopathics. Ed. By J.T. Kent. Vol. 2, 1899. Lancaster. 501p. Rebound. 59 Journal of Homoeopathics. Ed by J.T. Kent & Hugh A. Cameron. Vol. 3, 1899. Phil. PA. 564p. Original bind. Spine rep.
64 The Medical Advance. Vol. 13, July – June 1882-1883. 704p. Original bind. Spine rep.
65 The Medical Advance. Vol. 15, 1884. 634p. Rebound. 66 The Medical Advance. Ed. By H.C. Allen. Vol. 16, January-June. 1886. 67 The Medical Advance. A monthly magazine of Homoeopathic Medicine. Ed. By H.C. Allen. Vol. 19, 1887. 582p. Original bind. 68 The Medical Advance. Vol. 19, August, September, October. 1888. vol. 20, March & vol. 22, May 1889. 69 The Medical Advance. H.C. Allen. Vol. 20 January-July, 1888. 456p. Original bind. Spine rep.
70 The Medical Advance. H.C. Allen. Vol. 21 July-December, 1888. 568p. Original bind. Spine rep.
72 The Medical Advance. Vol. 23 July – December 1889. 440p. Original bind spine rep.
74 The Medical Advance. Vol. 26, 1891. January -Jlune. 480p. 75 The Medical Advance. Vol. 27 July-December 1891. 480p. Original. spine rep.
76 The Medical Advance. Vol. 28 January-June 1892. 480p. 77 The Medical Advance. Vol. 29, July-December 1892. 488p. 78 The Medical Advance. Vol. 30, 1893. Rebound. 80 The Medical Advance. Vol. 38. General Index from July 1899 to July 1900. 398p. 88 The Medical Advance. Vol. 25 July – December 1890. 480p. Rebound. 94 The Medical Advance. Vol. 43, 1905. 774p. Original repaired. 97 The Medical Advance. Vol. 47 January – December, 1909. 769p. Original rep.
98 The Medical Advance. Vol. 49, 1911. 661p. Original rep.
106 The North American Journal of Homoeopathy. Vol. 9, 1861. 720p. Original repaired. 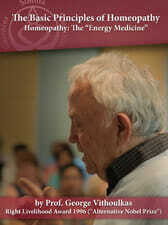 110 The North American Journal of Homoeopathy. Vol. 18, 1870. 568p. Original repaired. 113 The North American Journal of Homoeopathy. Vol. 5, 1874. 571p. Original repaired. 117 The North American Journal of Homoeopathy. Vol. 37, 1890. 847p. Original repaired. 118 Transactions of the World’s Homoeopathic Convention held at Phildelphia under the auspices of the American Institute of Homoeopathy at its 29th session June 26 – July 1, 1876. Vol. I Minutes, Essays, Discussions. 1881. 1117p. Original repaired. 119 Transactions of the World’s Homoeopathic Convention held at Phildelphia under the auspices of the American Institute of Homoeopathy at its 29th session June 26 – July 1, 1876. Vol. 2. 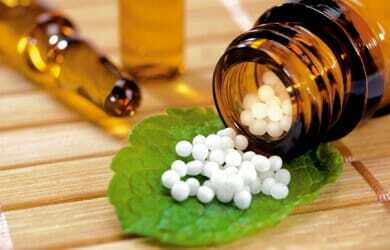 History of Homoeopathy. 1880. 1128p. Original repaired. 120 Transactions of the Thirty Fourth Session of the American Institute of Homoeopathy held at Brighton Beach. N.Y. June 14 – 17, 1881. 774p. Original rep.
121 Transactions of the Thirty Fifth Session of the American Institute of Homoeopathy (Thirty Ninth Anniversary) held in June 14 – 17, 1882. 828p. Original rep.
122 Transactions of the Thirdth Sixth Session of the American Institute of Homoeopathy (Fortieth Anniversary) held at Niagara Falls. June 19 – 22. 1883. 1177p. Original rep.
123 Transactions of the Forty First Session of the American Institute of Homoeopathy (Forty Fifth Anniversary) HELD AT Niagara Falls June 25 – 29, 1888. 820p. Original rep.
124 Transactions of the Fourth Quinquennial Session of the International Homoeopathic Congress and of the Forty Fourth Session (48th Anniversary) of the American Institute of Homoeopathy. Held at Atlantic City. June 16 – 22, 1891. 1164p. Original rep.
125 Transactions of the Forty Sixth Session of the American Institute of Homoeopathy (Forty Ninth Anniversary) Held at Chicago May 29- June 3, 1893. 462p. Original rep.
127 Transactions of the Fifty First Session of the American Institute of Homoeopathy held at Newport June 20 – 26, 1895. 1208p. Original rep.
128 Transactions of the Fifty Fourth Session of the American Institute of Homoeopathy held at Omaha June 23, 1898. 754p. Original rep.
130 American Institute of Homoeopathy. Transactions of the Sixty Second Session. The Allied Societies. held at Atlantic City. September 10 – 15, 1906. 525p. Original rep.
131 American Institute of Homoeopathy. Transactions of the Sixty Third Session held at Jamestown Exposition. June 17 – 22, 1907. 1175p. Original rep.
136 The American Journal of Homoeopathic Materia Medica and Record of Medical Sciences. By A.R. Thomas. Vol. 8. New Sr. vol. 4, Sept. 1874 – August 1875. 488p. Original rep.
139 The New England Medical Gazette. A Monthly Journal of Homoeopathic Medicine. Vol. 25, 1890. 584p. Rebound some pages are torn but text is complete. 144 The Organon. A quarterly Anglo-American Journal of Homoeopathic Medicine & Progressive Collatereal Science. By Thomas Skinner, E.W. Berridge, Adolph Lippe and Samuel Swan. Vol. 1, 1878. 495p. Original rep.
146 Proceedings of the Seventh annual session of the International Hahnemannian Association held at Saratoga, N.Y. June 21 – 24. 1886. 393p. Original spine rep.
147 Proceedings of the Eighth annual session of the International Hahnemannian Association held at N.J. June 21 – 24. 1887. 490p. Original rep.
148 Proceedings of the Ninth annual session of the International Hahnemannian Association held at Niagara Falls. June 19 – 22. 1888. 369p. Original repaired. 149 Proceedings of the Tenth annual session of the International Hahnemannian Association held at Toronto June 18 – 21, 1889. 375p. Original spine rep.
160 Proceedings of the Twenty First annual session of the International Hahnemannian Association held at Detroit. June 26, 1900. 200p. Original spine rep.
179 Proceedings of the Forty Fifth annual session of the International Hahnemannian Association held at Cleveland June 26-28, 1924. 351p. Original rep.
193 Proceedings of the Sixty Fourth annual session of the International Hahnemannian Association Inc & The Homoeopathic Recorder July 1944 – June 1945. 380p. Rebound. 196 The Homoeopathic Recorder Bi Monthly. Vol. 1, 1886. 192p. Original spine rep.
197 The Homoeopathic Recorder Bi Monthly. Vol. 2, 1887. 288p. Original spine rep.
200 The Homoeopathic Recorder Bi Monthly. Vol. 5, 1890. 288p. Original spine rep.
201 The Homoeopathic Recorder Bi Monthly. Vol. 6, 1891. 288p. Original rep.
202 The Homoeopathic Recorder Bi Monthly. Vol. 7, 1892. 286p. Original spine rep.
204 The Homoeopathic Recorder Monthly. Vol. 9, 1894. 639p. Original rep.
205 The Homoeopathic Recorder Monthly. Vol. 10, 1895. 591p. Original rep.
209 The Homoeopathic Recorder Monthly. Vol. 14, 1899. 575p. Original rep.
212 The Homoeopathic Recorder Monthly. Vol. 17, 1902. 576p. Original spine rep.
229 The Homoeopathic Recorder Monthly. Vol. 68, 1952. 362. Text Pages underlined. Rebound. 231 The British Homoeopathic Journal. A Quarterly Record of scientific therapeutics general medicine and surgery. Vol. 52, 1963. 293. Rebound.